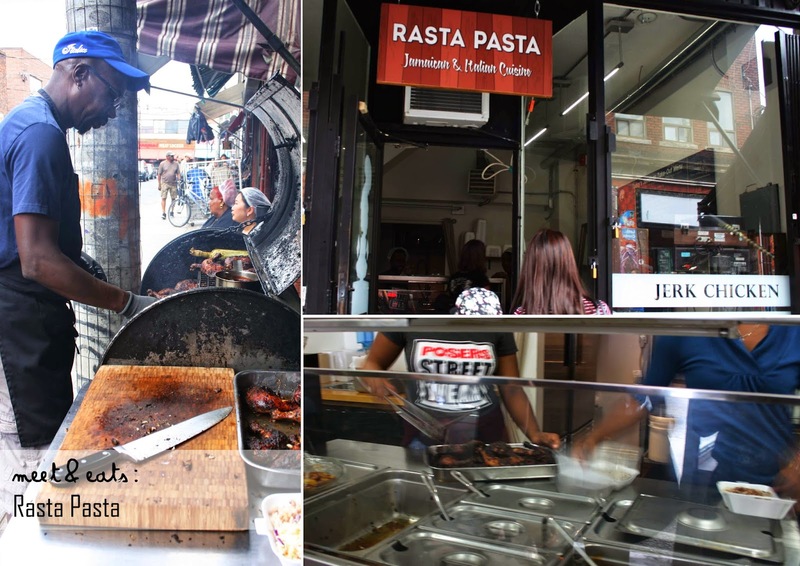 The outside smokey grill is the biggest attraction to Rasta Pasta, it is a brilliant unintentional advertisement, all by pure attraction by the nose – they save by sending out incredible smokey BBQ Jerk Chicken scents in all directions from the store front. Rasta Pasta only leaves room for you to Takeaway, but, for a lunch deal of $5, you will be more than happy to! Located in Kensington Market, a short walk away from the also, always packed during the lunch hour, Seven Lives. Quick service, at an awesome price! 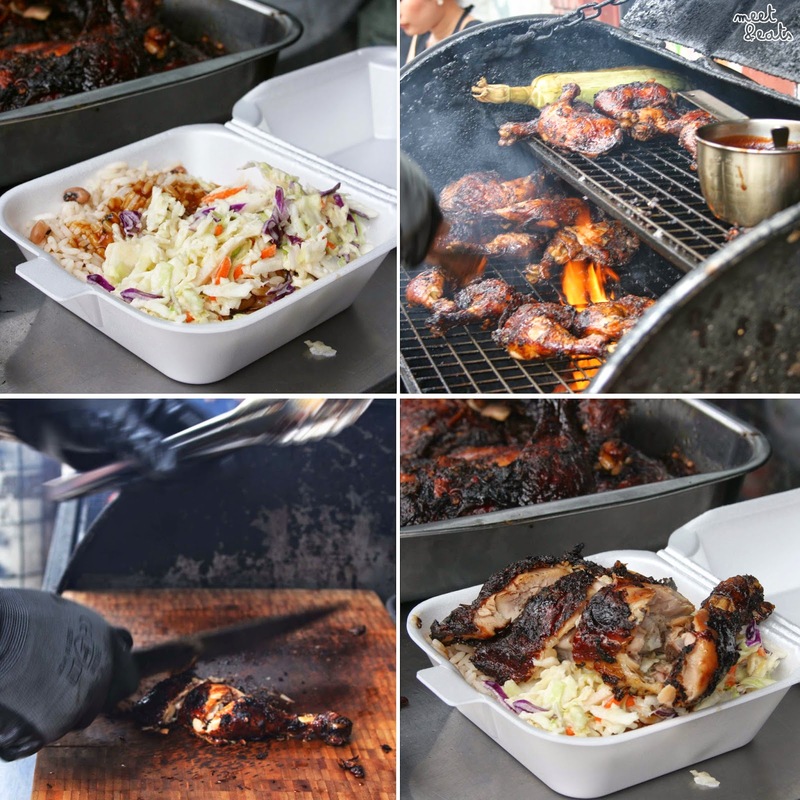 It’s a simple two step, make your order at the counter, and if your choice is Jerk Chicken, you will receive a bed of either Rice and Lentils or White Rice and Coleslaw or Steamed Veggies. 4. 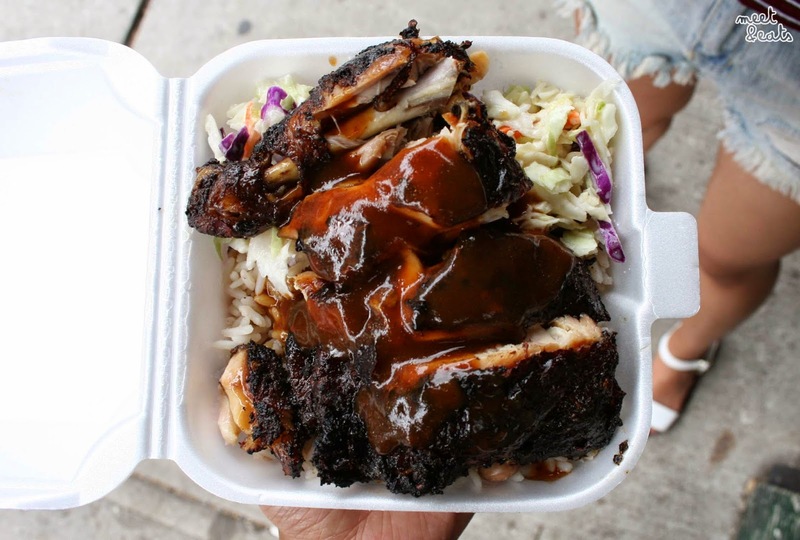 The chopped up Jerk Chicken is plopped onto it’s comfy styrofoam bed, ready for a spoonful of (mysterious and mystical) Jerk sauce – always say yes! The Jerk Chicken is the best that I’ve ever had, a great size for lunch. It is Smokey, and an absolute fall-off-the-bone goodness. So tender and delicious. The rice was an OK for me, along with the Coleslaw. The Jerk Chicken was the pure winner. I will be back to try out much, much more of their menu. Oxtail, I am eyeing you.